As a production of Oh What a Lovely War opens, Matthew Sweet discusses the way World War I was represented in the TV series The Monocled Mutineer and opening up the archives. As a production of Oh What a Lovely War opens at the Theatre Royal Stratford East, Matthew Sweet discusses the way World War I is being commemorated. He revisits Alan Bleasdale's 1986 TV series The Monocled Mutineer starring Paul McGann. 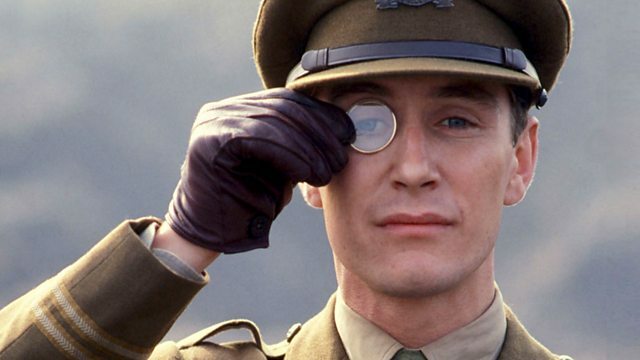 The subject of heated debates at the time of its broadcast, McGann has continued to study what is known about the soldier Percy Toplis, who inspired the series. Philosopher Roman Krznaric wants to launch an empathy revolution. He explains what he wants to put in his museum of empathy and why it can change lives and inspire political action. His book Empathy, A Handbook for Revolution is published this week. Interview with a star of the BBC series Paul McGann. You can find out more about World War One and how the BBC is commemorating the 100th anniversary here. And also find these and further programmes available to download from Music and Culture of World War One from Radio 3. Oh What a Lovely War at Theatre Royal Stratford East until 15 Mar 2014. Image: Gallant Piper, copyright: Bridgeman. Empathy: A handbook for Revolution by Roman Krznnaric is published on 6 February by Rider Books. Five Days at Memorial by Sheri Fink is published on 11 February 2014 by Atlantic Books. Photo: Roman Krznaric, Credit: Kate Raworth.